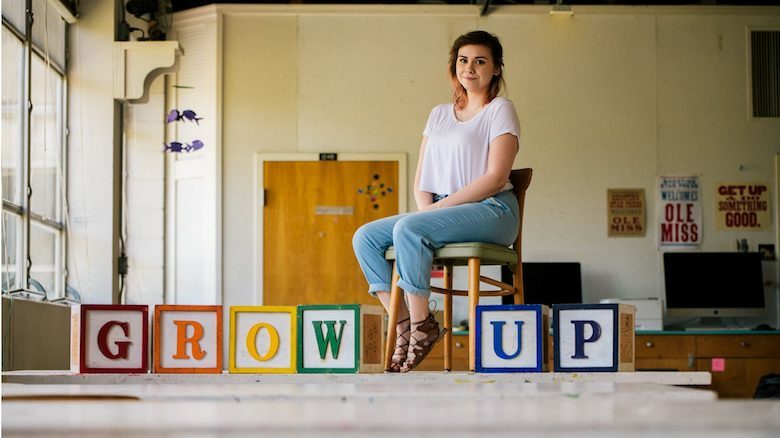 An ability to use her artistic skills to raise awareness of those struggling with mental illness helped a University of Mississippi senior earn a prestigious visual arts scholarship from the Mississippi State Committee of the National Museum of Women in the Arts. Charlotte Burge, of Saltillo, a senior pursuing a Bachelor of Fine Arts in Sculpture, was nominated for the scholarship by the UM Department of Art and Art History, and she received the honor earlier this semester at a luncheon in Jackson. Burge’s artwork revolves around the theme of mental illnesses. She creates sculptures that portray the life, mindset and struggles of those who suffer from mental illnesses, such as depression and anxiety. Burge said that she has struggled with depression and anxiety in her life, so she uses the art she creates in an effort to illuminate what life can be like for those with a mental illness. Burge incorporates colors throughout sculptures to attract her audience, which ends up being surprised once they realize the darker tone contained within her artwork. 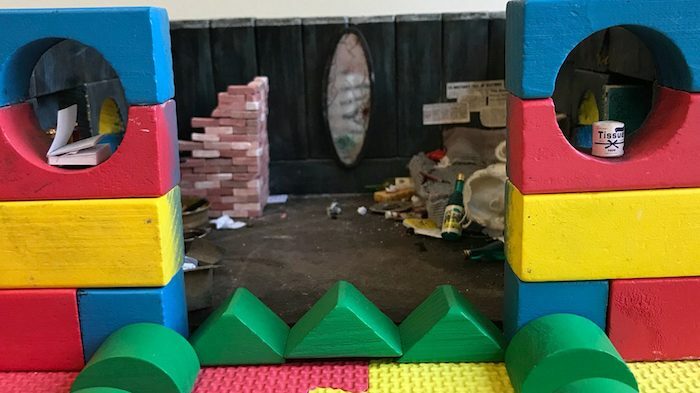 “The work is inviting and whimsical at first encounter, while upon further investigation, the viewer realizes that there is deeper content dealing with often-overlooked life struggles,” said Durant Thompson, UM sculpture art professor. Burge explained that the mindset of a person suffering from mental illnesses is normally darker than the person appears to the outside world. That’s why her art uses colors to represent how individuals may appear beautiful on the outside but actually could be a total mess on the inside, she said. The National Museum of Women in the Arts, based in Washington, D.C., brings recognition to the achievements of female artists of all periods and nationalities by exhibiting, preserving, acquiring and researching art by women and by teaching the public about their accomplishments. The scholarship from the National Museum of Women in the Arts could assist Burge in achieving one of her primary goals, which is for her art to influence society and inform people about the realities of life for those suffering from mental illnesses. Ideally, those who view Burge’s artwork will gain a greater understanding of how those who suffer from mental illness experience the world, she said. Perhaps they will see that a mental illness is not something that can be turned on or off at will, she said. If it wasn’t for the supportive atmosphere of the art department, Burge said she might never have sought help to manage her own mental problems. That’s why she is so thankful that she can openly be herself, express herself and have a support system there she can rely on. “If I didn’t have the support that I have here, I definitely wouldn’t have reached to get help for my own issues I deal with,” Burge said.